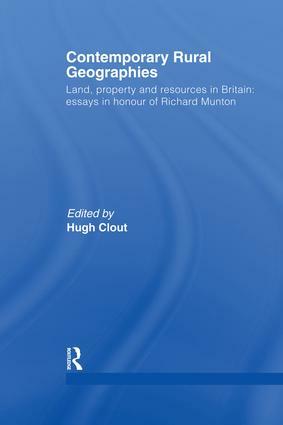 This book provides a cohesive set of research statements on critical related issues in British rural geography, as well as echoing the priorities identified by an influential figure in British rural geography, Richard Munton. This book demonstrates that the rural world needs to be seen in a far wider perspective than that of agriculture/ food production, in order to comprehend how resources are being appraised and exploited in new ways, and to respond to the pressing challenges of sustainability for the decades ahead. the gap between policy and action for sustainable development. The final set of chapters is devoted to policy-related issues associated with agricultural change and the profound challenge of rural diversification for the future. The last chapter traces the prominent career of Richard Munton.